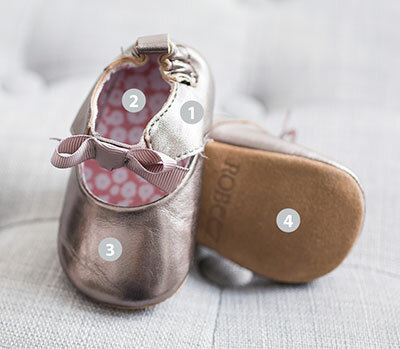 Even though she cant get on her tippy toes quite yet, she can master her first steps in these cute mini ballet-inspired shoes. The golden finish came right off of 1 shoe (the left) on the first use. It has gotten worse, almost on the whole shoe. The right shoe still has the golden finish. I don’t know if its a quality control thing or what. Expected something that would last longer though and designed for babies taht still crawl and are starting to walk. But it seems they’re just to delicate. Robeez Note: We are sorry you are having issues with this shoe. Someone from our Customer Service team will reach out to you and help resolve this issue. 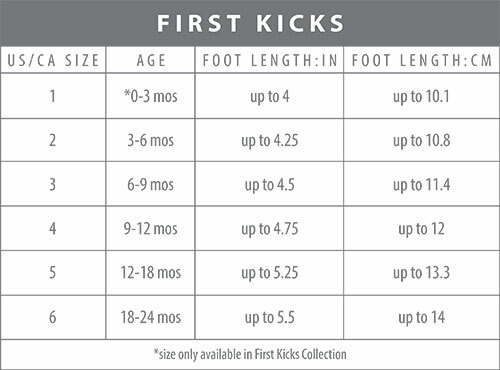 We stand for quality and want you to be happy with your baby shoe purchase. The shoes are darling and well-made. But I received two pairs, instead of one. I need to know how to return the extra pair and get a refund. Help! Robeez Note: Sorry for this issue. We will have someone from our Customer Service team reach out to you. Too cute for words. Super high quality and style. Very affordable. Love theses.